From the Panchen Lama to Laotian activists, thousands of people detained because considered a "threat" to institutions and governments. For activists, the reported cases are only the tip of the iceberg, but the reality is far worse. Governments deny there being any problem, and only four countries have ratified international treaties. Bangkok ( AsiaNews / Agencies) - There is a common thread that links the Panchen Lama in Tibet Gedhun Choekyi Nyima , the president of the Muslim lawyers in Thailand and an activist for the rights of farmers in Laos. They are all victims of so-called "State detentions", taken and kept hidden in unknown locations because they are "sensitive" political and religious figures, or for their arguments in favor of human rights. As time passes the chances of obtaining justice for the "prisoners of state" and their families are becoming more sparse, in spite of an abhorrent practice that has become increasingly widespread across the Asian continent. Mary Aileen Bacalso , secretary general of the Asian Federation Against Disappearances ( Afad ) , an association that deals with cases of disappearances, confirms the phenomenon : "Asia, the largest region in terms of land mass and population, has registered the highest number of recent cases of disappearances. " In addition, official certified seizures were found to be far below the actual data , especially in countries where there is a repressive regime in power or armed conflict. In fact, according to activists there are tens of thousands of cases of "enforced disappearances " in Asia, but only a small proportion are documented, for fear of reprisals from the authorities. In the 2012 report of the working group of the United Nations , among Asian nations Sri Lanka accounted for 5,676 "reviewed and outstanding" cases, the Philippines 621, Nepal 458, Timor Leste 428, India 353, Indonesia 162, Pakistan 99, Thailand 71, China 30 and North Korea 20., according to the UN , which represent "the tip of the iceberg ." 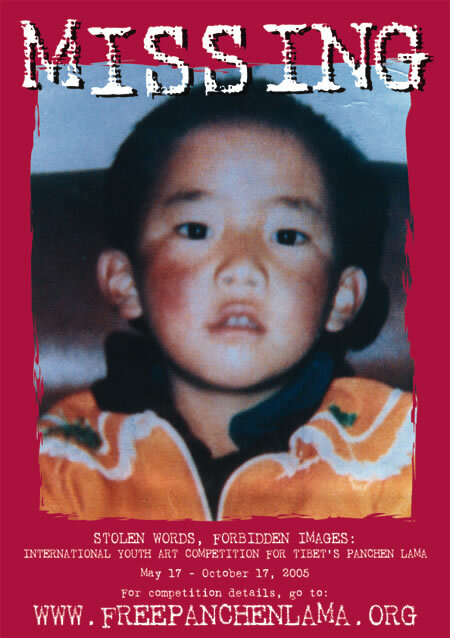 In Tibet, the Panchen Lama was only six years old when he was taken by the Chinese authorities in 1995 and since then there has been no news of the second most important religious leader of Tibetan Buddhism. However, according to activist groups in the area, there are hundreds more monks and lay activists in police custody in Beijing, which applies the same methods to suppress internal dissent in the autonomous regions prone to ethnic clashes, such as the Muslim Xinjiang . South- East Asian nations such as Thailand, Indonesia , the Philippines and Laos are also being targeted by activists and human rights groups. From the enforced disappearances ordered by Jakarta during the dictatorship of General Suharto in the 1990s, to the most recent case of the winner of the Asian Nobel Prize, Laotian Sombath Somphone , in the hands of authorities in Vientiane since last December. For activists and groups who are fighting for the liberation of the "disappeared " the biggest problem is the fact that the governments of the continent deny the problem, stating that there are no cases of enforced disappearances. And only four countries - Japan , Kazakhstan , Iraq and Cambodia - have ratified the International Convention for the protection of all persons from "State detention." The UN is calling for a transition from the impunity to that of responsibility for governments, while families pray and hope that their relatives could make early can come home soon. Government inquiry into civil war enforced disappearances "inconclusive"